Joh grew up in our lovely city of Albury-Wodonga. She was lucky enough to have exposure to Chinese language from primary school and continued this passion for Chinese culture and language into her high school years. After a language study program to China in year 10 she knew that this was something she wanted to continue to study but not sure quite how that was going to fit into her passion for science and health subjects. She found a way to incorporates all her interests and went onto RMIT University Melbourne to study a double degree in Human Biology and Chinese Medicine. After an internship in China she returned to the border to start work in a Chinese Medicine clinic. This was a great experience and built up her passion to work in a private practice setting. She felt that she needed to have a greater understanding of the biomechanics behind physical manifestations in the body and was drawn back to study physiotherapy. She studied this program through Charles Sturt University. Now enjoying the non-student life Joanne is happy settling into life as a physiotherapist. She has loved the opportunity to work with Flex Out Physiotherapy and experience the diversity in private, aged care and rehabilitation clients. 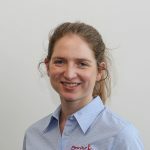 Since starting work as a physiotherapist she has undertaken clinical pilates training and the ‘APA Sports Level 1’ course. Joanne enjoys using the combination of her physiotherapy and acupuncture / Chinese Medicine skills for clients with lingering pain not responding to the usual physical therapy approaches. Outside of work life Joh loves her rugby league and has played for Albury Thunder. She also enjoys touch football, yoga, bush walking, pizza making, kombucha brewing and bird watching for a bit of serenity!